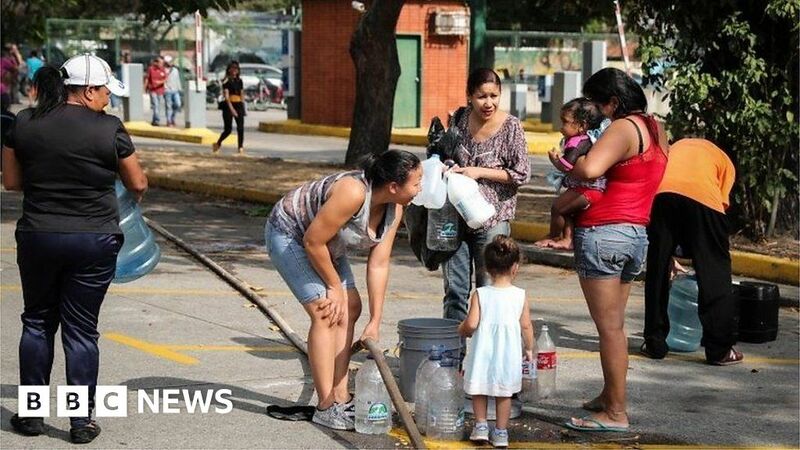 Video Water shortages caused by a six-day power cut in Venezuelan cities hit the headlines earlier this month, but for many in the country, dry taps are nothing new. The electrical outage affected pumps that deliver water to homes around the capital, Caracas. Some homes had no water for days. Families gathered up plastic bottles to fill them with hosepipes at public parks, and visited a mountain on the outskirts of the city to collect water. Caracas resident Margarita told the BBC's Will Grant that the recent shortages are part of a wider problem. Summary: A recent power cut caused major water shortages, but for many Venezuelans, dry taps are nothing new.